Note: When Easter comes late, we often have our sunrise service at the cemetery in Jonesville, MI., hoping the weather will be nice. It was this year and we did. This is what I said. Dad's grave, in Lemon Bay Cemetery. Photo from 2008, before my mom was laid to rest by his side. It’s hard to bury someone in South Florida. I remember as a kid, my cousins and I could dig down through the sandy soil and reach the water line in three or four feet. But in Englewood, maybe a mile south of Main Street, there is a sandy knoll where the settlers put the cemetery. Just a little west of it, along the bay, there is old Seminole burial mound, built by hand. …. if there be no resurrection of the dead, then is Christ not risen: And if Christ be not risen, then is our preaching vain, and your faith is also vain. Yea, and we are found false witnesses of God; because we have testified of God that he raised up Christ: whom he raised not up, if so be that the dead rise not. For if the dead rise not, then is not Christ raised: And if Christ be not raised, your faith is vain; ye are yet in your sins. Then they also which are fallen asleep in Christ are perished. If in this life only we have hope in Christ, we are of all men most miserable. We are of all men most miserable. Why are we so miserable? He gives three reasons. First, if there is not a resurrection, our faith is in vain. It’s all empty. Our preaching is in vain. Twice he says our faith is in vain. Futile, in one, translation. Entirely empty. Whatever joy we have in Christ. Whatever comfort we have from other believers. Whatever peace it brings us to trust Christ. None of it matters if there is no resurrection. It is this hope that sustains us. It is this power that assures us. It is this resurrection that defines us. If there is no resurrection, the gospel is a joke, and our trials, and the persecutions of the saints, are without merit or purpose or design. While the pagans have no hope, we have neither hope nor joy. Later in this chapter Paul says if we fought the wild beasts in Ephesus, what’s the point? Let’s eat and drink for tomorrow we die. If you are suffering for Christ, if you are working for Christ, if you are giving your money and your time and your reputation and your energy for Christ, then you should be miserable indeed. Because none of it matters, if there was no resurrection. It is also true, Paul says, that if there is no resurrection our sins are not forgiven. We are still in our sins. We are still under God’s condemnation. We are still lost. And even if there is no afterlife, there is no present relationship with God. Throughout the New Testament, the early preachers and evangelists begin with the truth that God raised Jesus from the dead. Peter says God has caused us to be born again through a living hope when he raised Christ Jesus from the dead. But if it is not true, then we are still in our sin. In fact, we are liars, having testified that God raised up Christ. How much more miserable could we be? The weight of our guilt. The weakness of our flesh. The selfishness of our nature. All are unchanged and unrelenting if Christ was not raised. We should just get in our cars and drive home, strangled in our sin, bogged down forever in the slough of despond. Not only is our future miserable and hopeless, but so are our lives. Our faith is vain and we are yet in our sins. But there is one more reason Paul offers. Our loved ones, who are fallen asleep in Christ, are perished. Lost. Gone. Dead for ever. There is no shining glory to come. Only dust and ashes. Paul says the bodies of believers have been planted in dishonor, but will be raised in glory. They are sown in weakness, but will be raised in power. If Christ was not raised from the dead, then this is not true. My mom and dad are buried on that little sandy knoll south of Englewood. Dad’s gravestone proclaims that he was a faithful preacher of the gospel. What a cruel mockery if there is no resurrection of the dead. Someday they will simply wash away into the sea and be no more. Nor will you see those who have gone before you. If someone you know is buried in this cemetery, they will remain here. If there is no resurrection morning, we are of all men most miserable. We have waited for a reunion that will not come. We have made sacrifices we did not need to make. We are sinners still. How much more miserable we would be than others, if Christ did not rise on Easter morning, securing our loved ones’ resurrection. And our own? For centuries Christians have put little cemeteries by their little churches and on the outskirts of their little towns, waiting for that blessed hope, the glorious appearing of our great God and savior Jesus Christ. We have longed for his return, and for our ultimate transformation, knowing with certainty that the resurrection itself, which we celebrate this morning, is the sign of both the promise and the power that delivers us. It delivers us from vanity, from sin, and from death. But there is no need to leave this cemetery this morning in misery. We celebrate the hope, and the glory, and the life to come. He is risen, just as He said. He is risen indeed and we need not be miserable! And for that we will praise Him for all of eternity. 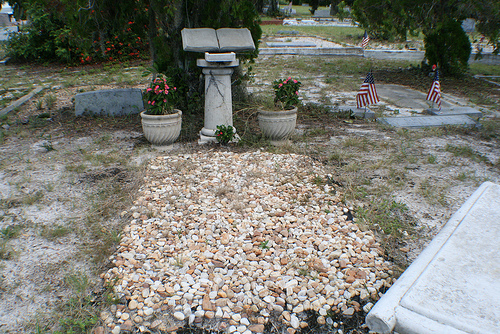 Wally… We visited Lemon Bay Cemetery the other day, and the names and etchings are nearly gone from the stone book. What was your father’s name? Do you plan to have the tombstone repaired? Thanks, John. I’m not down there often. I’ll have my sister check on it. dad and I had the same name.what took you to Englewood. Or to my blog? Hah… actually the two are interconnected. My family and I attend the Englewood Nazarene Church just a few blocks away. 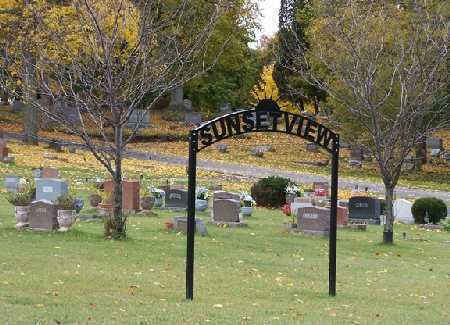 We had heard of the various unique tombstones, and we wanted to look. My children have been taught that graveyard are really for the living, for memories; especially when it comes to the graves of believers. Anyway, we noticed the book and were intrigued. I could barely make out “Faithful Preacher.” So, I performed a Google search for the terms “book headstone” in the image section. I enjoyed reading the blog though. God Bless!